Enteractive was contracted to provide customer support for newly established Metal Casino with contacts starting in August 2017. In any start-up, customer support must be considered as your most important metric. With the abundance of new casinos sprouting like mushrooms in the iGaming industry, not all will place their customer needs and desires first. However, adapting your business strategy based on the age old ideology that ‘the customer is always right’ will ensure that you’ll survive amongst a competitive business struggle. Metal Casino is a unique brand, with a different approach to player loyalty. Not only do they offer players loyalty points which they can use to purchase bonuses, spins or even merchandise and concert tickets, but they also give back to the community by supporting young artists and acting as advocates of the environmental group Sea Shepherd. They also proudly boast big name brand ambassadors to promote the casino, and are active in channels like Twitch too keep players interested and engaged. Metal Casino worked on representing themselves as so much more than just a casino. They successfully created an online gaming community out of a niche market; with results encouraging their non-stereotypical strategy. In just after 9 months of going live they saw an impressive organic growth in users, which was due to word of mouth, social influence and personalised customer support. Metal Casino’s original approach to customers and the industry, gave way to a unique player base, with everyone from rockers to environmentalists to the everyday person frequenting the casino. Accumulating such a diverse array of players set a large challenge for our customer support agents to keep up with Metal Casino’s chosen tone of voice and message. We worked endlessly to connect with people from all walks of life, while still providing top quality and personalised support. Here’s how Enteractive has kept up high standards through this immense growth. 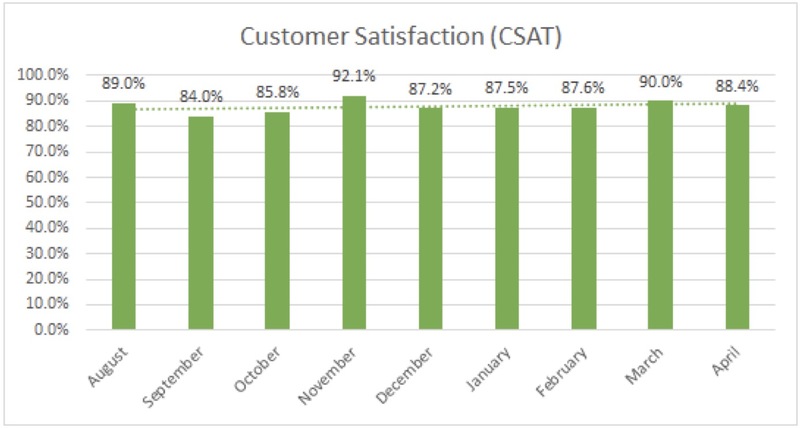 CSAT: Customer Satisfaction has had a steady high result throughout the casinos growth. This is measured by good ratings from users in chat and email vs negative ones. Overall average CSAT score is 88.0%. This is a good indication to see how Enteractive can provide quality support through a growth period and beyond. 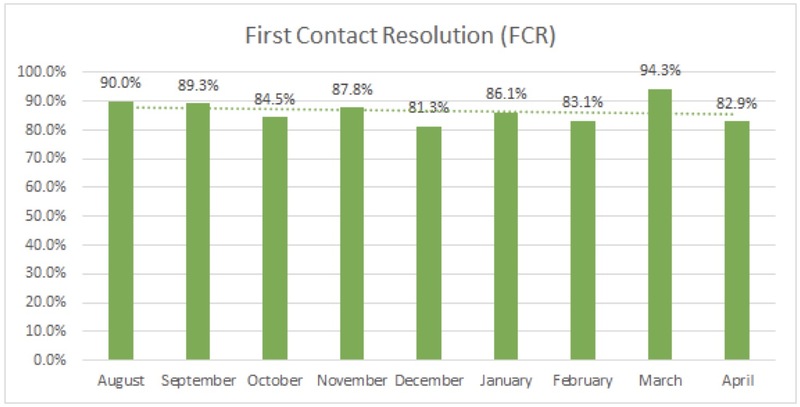 FCR: Percentage of contact with players where cases have been resolved in one point of contact. Overall average FCR is 86.6%. This is a great indicator to see that Enteractive is able to help most players instantly, allowing them to keep playing. 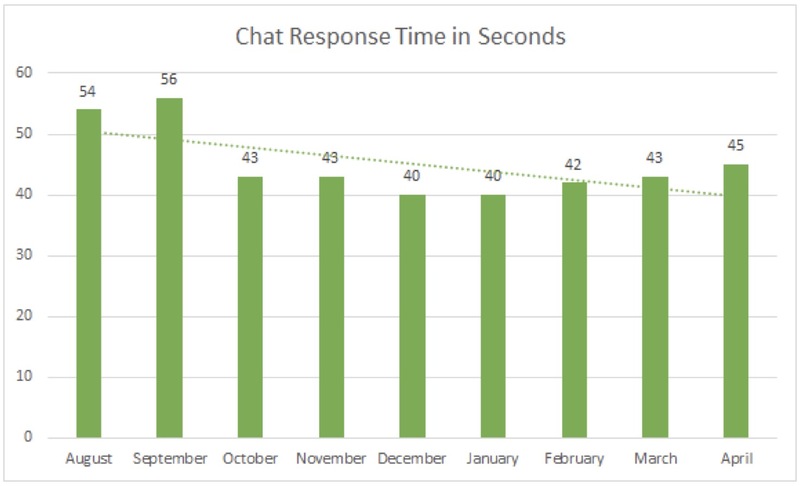 Response time chat: Average seconds players have to wait between each reply from us while chatting. Overall average time is 45 seconds. Response time email: Average minutes players have to wait for a reply to an email sent to us. Overall average time is 40 minutes. Strengthens your brand loyalty with Enteractive. From Enteractive’s first month providing customer support for Metal Casino compared to the last month, contact has grown by an impressive 899.6%. Enteractive has been able to not only cope with the increased contact, but keep a high standard to ensure the player base stays happy, in regards to CSAT, FCR and response times. In order to achieve such positive results, Enteractive have adopted a proactive approach to our support. By communicating closely with the casino using direct lines of contact, Enteractive is able to identify, monitor and solve issues that might arise in a timely manner. To keep on top of issues and have them resolved quickly is not only cost effective for the casino, but gives a better customer experience as down time and problems are kept to a minimum. This strengthens brand loyalty. Come over for a coffee, call us or shoot us an email at any time.